Hello and Welcome to my Blog! I tend to blog about whatever is irritating me or I happen to be thinking about – this will mostly be related to politics, housing, planning, policy and often Bristol, but I may stray into other things if the fancy takes me. The thoughts are undoubtedly my own and will wander around somewhat, but if you can put up with the style there might just be something worth reading in there! I’ve been in Bristol since 1984, when I came here to do a Planning Degree at UWE (or Bristol Polytechnic as it was then). Like many I stayed and got a job here, it’s a brilliant place to live. 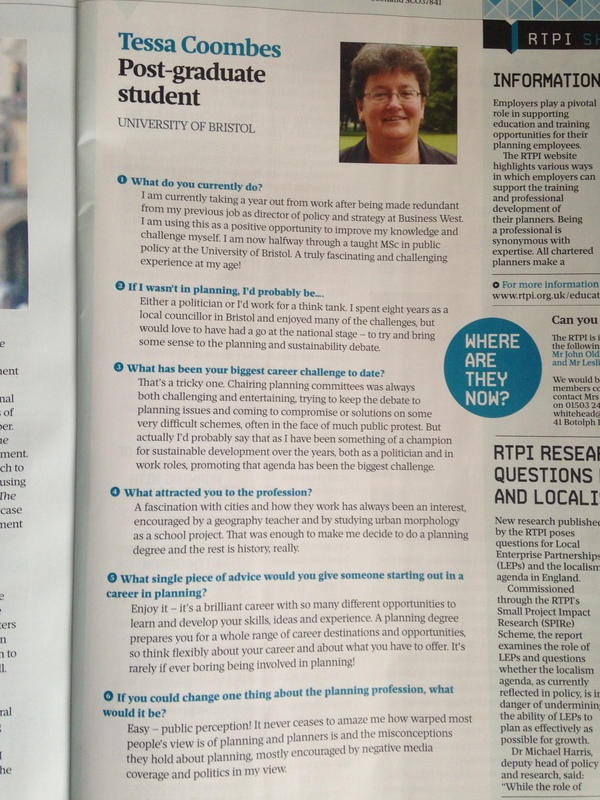 I’ve done a few different jobs, starting out as a planning consultant in Bath then going back to UWE as a researcher, where I stayed for a while doing planning, housing and environment research – good times but wasn’t sure the academic life was for me. I moved on to work in Hartcliffe as a project manager for a community project, brilliant role, fantastic community, loved it! My ‘career’ changed track then and led me to running the Western Partnership for Sustainable Development (WPSD) an environmental charity working across Avon on a whole load of good stuff – challenging but fascinating at the same time. I also spent 8 years as a Bristol City Councillor representing Southville and Knowle, between 1994 and 2002, which seems like a long time ago now. I got involved in all kinds of issues and learnt a hell of a lot, enjoyed chairing planning committees, loved leading on all the green agenda and found being Chief Whip absolutely fascinating! But it’s kind of challenging to have a full time job and be a councillor (we didn’t get paid then, other than attendance allowances) so I gave it up and focused on work for a while. My last job was at Business West, a business membership and support organisation running local Chambers of Commerce in Bristol, Bath and Gloucestershire. My role was to lead the policy, marketing and membership sections of the company, working closely with local businesses, supporting their needs and helping to inform and represent their views. An interesting arena to find myself in and one that I was never entirely comfortable with. It all came to an abrupt end in August 2013 when I was made redundant and had to face that decision that all too many people have faced – what to do next? Truly I had no idea what I wanted to do for work, so took a different track again, and went back to University! I took a year out to do an MSc in Public Policy at Bristol University, a course I have always been interested in but never had the time to do and I thoroughly enjoyed it, it kind of feels like I’ve gone back to where I belong! Now I am embarking on a new journey, having completed the MSc I have decided to do a PhD in Social Policy at Bristol University, so that’s where you’ll fine me now, in the School for Policy Studies, as a student! 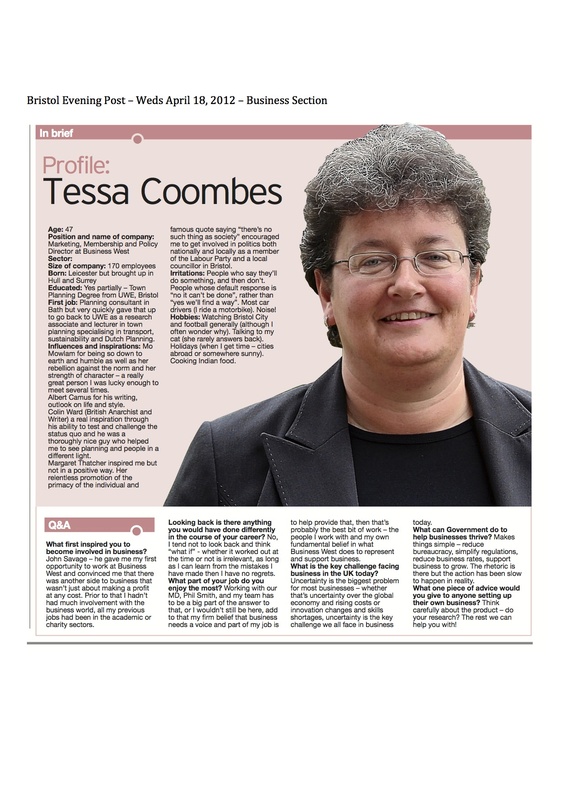 I am enjoying the freedom to share my own views with others through this blog and twitter (@policytessa) and I can also be found on LinkedIn. I hope you find this blog interesting! My name is Peace. I’ve just read your article in The Cable. It was interesting but I believe there was a vital omission: the turnout for the Elected Mayor referendum was extremely low ie 24% meaning less than 13 % of the electorate were in favour. I believe that is no mandate for such a fundamental change in constitution and makes a mockery of democracy. Hi Peace, thanks for your comment. I take your point, but whatever your view about turnout and democracy, the result was in favour of a Mayor. My comments were more about the system and how it works, and how we can make the best of it, rather than about the vote.